The canopy tracks vary between 4 to 12 meters above ground level. 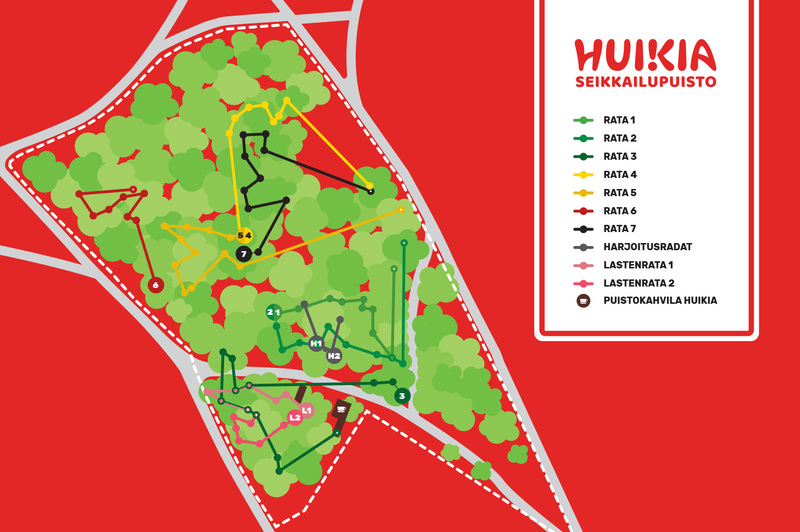 Huikia has seven tracks with varied difficulty levels in which all adventurers can find appropriate challenges. The green tracks, 1-3 are ideal for beginners and for example families can go through together. These tracks are made up of various types of elements, from crossing bridges, walking across a reindeer and ziplining in various ways. through swinging stirrups, and a crossing swinging climbing walls all at great heights. The children’s tracks are planned especially for the smallest adventurer. Two exciting and fun adventure tracks and the designated climbing equipment provide a true adventure experience.